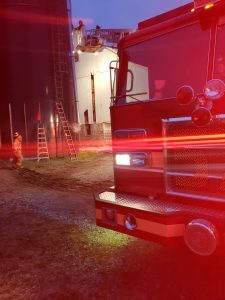 On Monday afternoon at 4:37 pm, Truck 57 was dispatched to assist Robert Fulton Fire Company on a silo fire on Goshen Mill Road in East Drumore Township. On arrival, we found a Harvestore Silo (blue silo) with smoke coming from the top hatch and the loading chute. Initial temperature readings and thermal images found no significant heat on the outer layer, with the fire likely being towards the center. 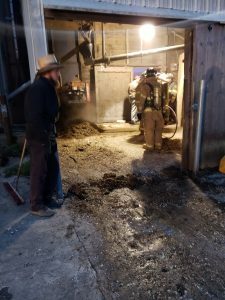 With only about 15 feet of silage in the silo, it was decided to unload it. Robert Fulton stood by and did not clear until 10:00 am Tuesday morning. 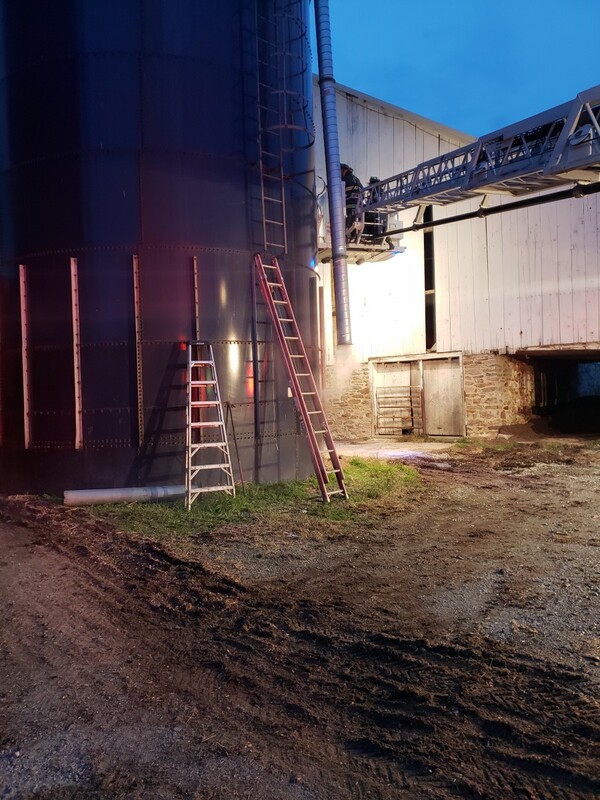 Like we posted before, silo fires are a low frequency, high risk event, and Company 89 took the time to get a proper size up and make the right decisions.